They include upgrades and new features but also the removal of old material. * See details below. 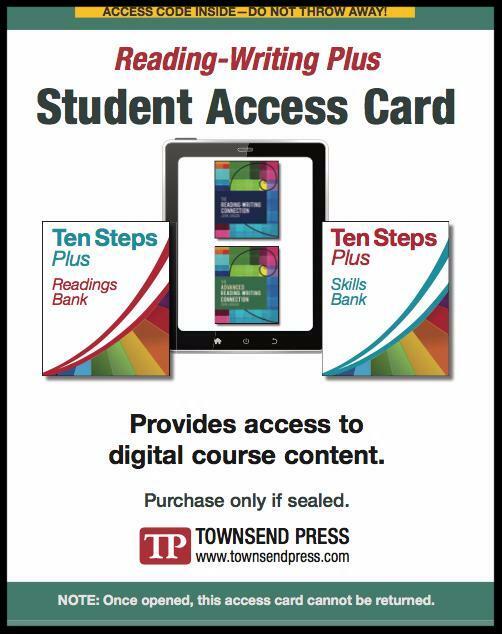 A bundled Ten Steps textbook and Ten Steps Plus subscription. Ten Steps Plus is getting a boost this summer. Digital lessons are being added to teach key concepts before quizzing or testing students on them. Based on our popular PowerPoint presentations, each lesson illustrates a major reading skill--with humorous graphics and visuals to help students learn. Expect them in July. Pricing will be unchanged. Existing subscribers will have immediate access to this new material once it is released! Reading-Writing Plus brings a full suite of digital materials right to students' fingertips. 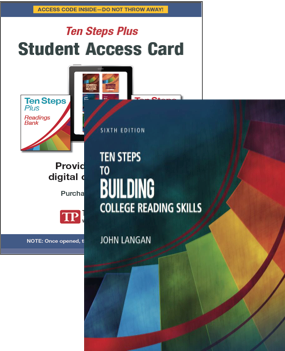 Reading-Writing Plus brings the digital offerings of Ten Steps Plus to The Reading-Writing Connection and The Advanced Reading-Writing-Connection. Items include: eBooks of both texts, the Readings Bank, Skills Bank, the 100+ eBook Townsend Library, and our acclaimed exercises, tests, and lessons. Starting July 1, 2017, subscriptions will be required to access digital material for our reading-writing texts. Pricing will be the same as Ten Steps Plus. English Essentials Plus features thousands of new items to teach key grammar skills. Hundreds of activities from English Essentials texts are being added to English Essentials Plus. This new material joins our existing exercises and tests to provide more options to educators of digital or hybrid classes. With this addition, English Essentials Plus has the most comprehensive grammar skills content ever offered by Townsend Press. After 15 years of providing free digital items for the Vocabulary Series, Townsend Press is retiring this material. 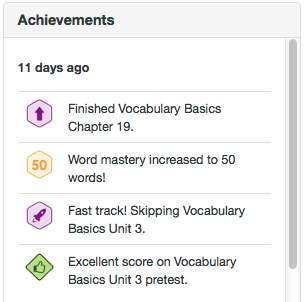 Vocabulary Plus, which features updated content, an adaptive independent mode, and a more comprehensive assignments menu will replace these limited free items. Starting July 1, 2017, students will need subscriptions to Vocabulary Plus to access digital items for the Vocabulary Series. Two tests of written English have just joined our Vocabulary Placement Test and our College Reading Tests to help you better assess students' language skills. 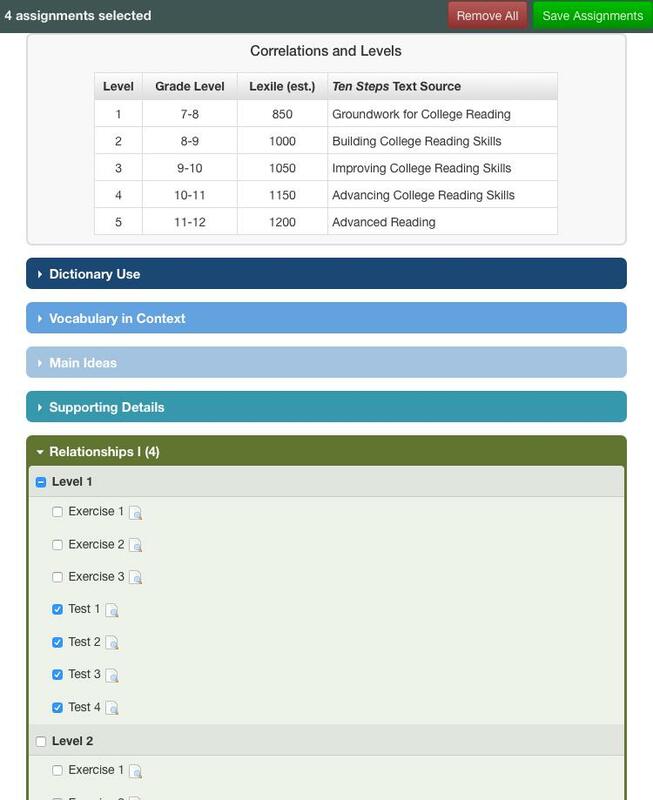 These tests provide skill-specific data to guide individual and class instruction. 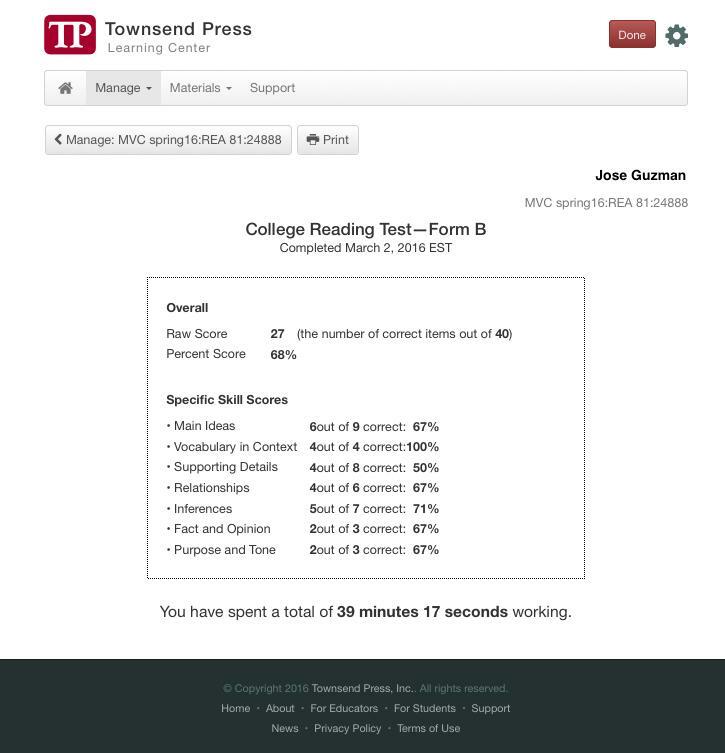 In addition, they now feature controls that let you customize test times in the Learning Center. All assessments are available now at no charge. Want to try any of our Plus options with your classes? You can--for free! All Plus products are free to educators and feature a two-week grace period for students. In other words, you can try everything with your students for free. If you have questions, e-mail support@townsendpress.com or call us toll-free at (888) 752-6410. 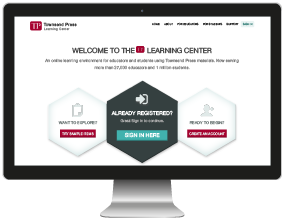 Townsend Press remains as committed as ever to providing the best, most effective, and most affordable print and digital materials for students. 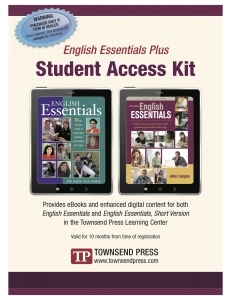 Townsend Press has one focus: to make the best possible English and Language Arts materials. That focus is what makes our content better. Educators tell us what studies confirm: that our materials effectively teach reading, writing, grammar, and vocabulary. Try us and you'll see. Newer Three new Townsend Library eBooks are available! Older New tools for teachers!